Price includes full color on one side. Wow your customers with this completely mail-able puzzle! 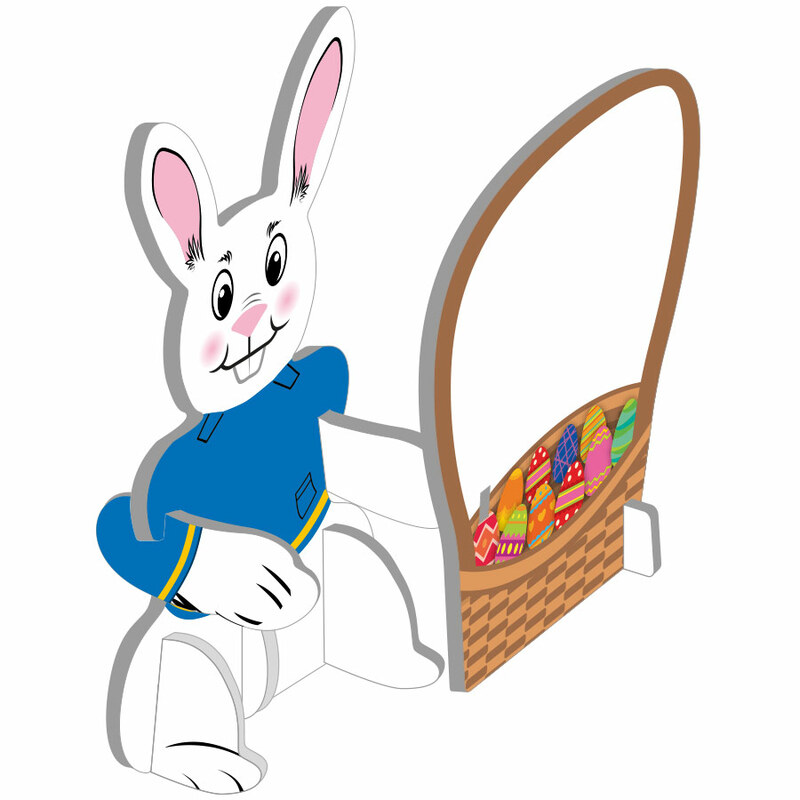 This rabbit puzzle is made from EVA foam and ships flat and compact. Once assembled, your logo will be shown on the front of the basket. Great for company picnics and tradeshow giveaways!